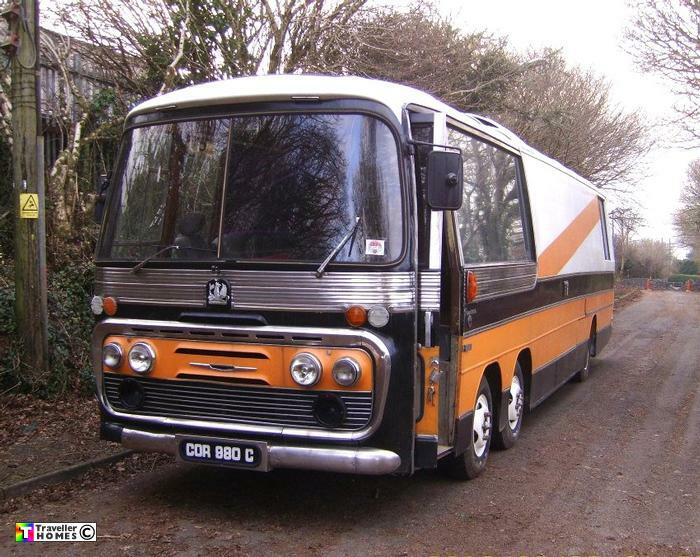 COR988C (1965) Bedford VAL14 . Plaxton Panorama C49F. Ex-Coliseum . Southampton . Seen 2013 . Originally converted by someone in 1982 . Owned by Craig by 2006 , later sold to Tom & Jane who carried out a tidy restoration job , before selling it to Bob in 2013 . Photo = Bob .